Live Traffic News | There are currently no incidents reported. - There are currently no incidents reported. The A9 Safety Group aims to provide up-to-date and accurate information on Scotland’s longest road. 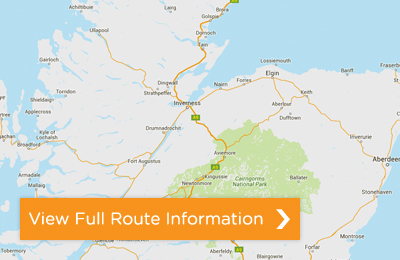 This site provides a comprehensive overview of the A9, with statistics, route information, driving tips and road campaigns. With an average 142,000 vehicles using the A9 every day, planning a safe and efficient journey is important. Extensive changes will be taking place on the route over the next few years, with planned dualling due for completion in 2025. Take the initiative and use our route information before your journey. Use the buttons below to view information on specific parts of the road. The publication of A9 data today is significant as a full three years of data is now available following the introduction of the Cameras in October 2014. The results show substantial improvements in safety, with 10 fewer deaths, 16 fewer people seriously injured and 96 fewer people slightly injured between Dunblane and Inverness in the 3 years following the activation of the cameras compared with the full 3 years preceding. View the latest average speed camera data for the A9 road via the publications page.